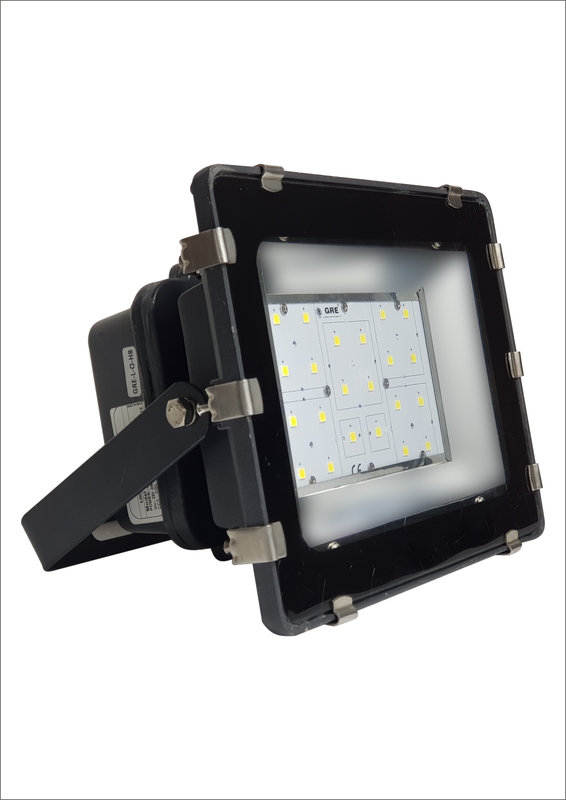 Decorative outdoor LED flood light IP65 luminaries with aluminum pressure die cast materials having high lumens SMD LEDs high efficient integral LED driver complete with all accessories including toughened glass cover. It also having very High Efficacy, CRI, P.F. & Efficiency at I/P 230VAC, 50Hz.